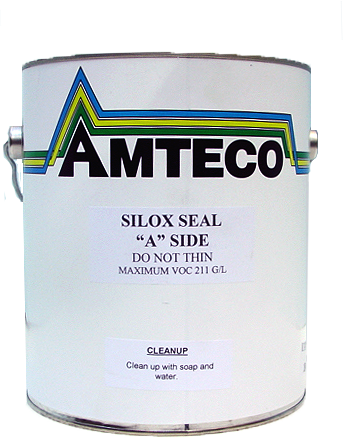 Click the button below to add the Silox Seal 1 Gallon to your wish list. Silox Seal is a silane / siloxane water-based high performance penetrative masonry water repellent. An effective alternative to conventional solvent-based silanes or siloxanes, Silox-Seal (Silane/Siloxane) penetrates and chemically bonds deep within the masonry substrate to provide long-lasting protection against water related staining or deterioration. Will not darken most color-sensitive surfaces. Will not produce a surface film or impair the natural breathing characteristics of treated surfaces. Penetrates deeply to produce long-lasting protection on vertical or horizontal surfaces. Water based formula minimizes explosion and fire hazards associated with alcohol or solvent- based water repellents on interior app. Easy soap-and-water cleanup from window glass, window frames and application equipment. Low odor reduces risk of application to occupied buildings. Alkaline stable - suitable for new "green" concrete. Will not prevent water penetration through structural cracks, defects or open joints. When applied to pH neutral surfaces, optimal performance may take up to 14 days to develop. New and old cementatious materials and mortars. All untreated mineral and aggregate materials such as Limestone, Sandstone, Clay tile and Stucco. 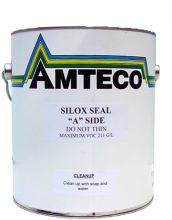 Silox-Seal (Silane/Siloxane) is recommended to seal chimneys, drive ways, parking decks, walkways, tuck-pointing, grout, and provide a vapor barrier in damp areas. Silox-Seal (Silane/Siloxane) is used to protect and maintain bridges, parking garages, airport pavements, industrial plants and other concrete structures. This is a penetrating, matte finish, virtually an invisible sealer.